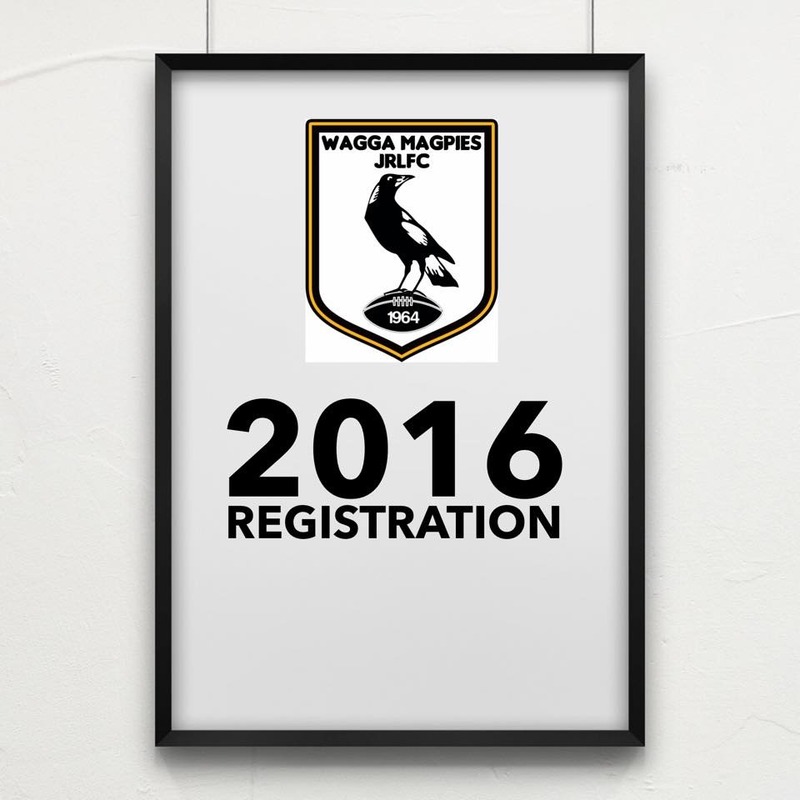 2016 Merchandise is available for pre order on facebook, via email enquiries@magpiesjrlfc.com.au or at training. Payment is required by April 16th when orders will close. Payment can be made via direct transfer or cash. Bank details will be provided at time of ordering. Please note that the training tee’s and singlets can be personalised with names on the back. Online registration for the 2016 season is now live! To do so please click on the 2016 registration app on the right hand side of the page. 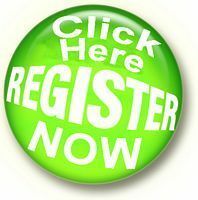 Online registration requires payment to be made online at the same time. This year payment via credit card is accepted making registration easier for families. We will also be holding our traditional regsitration day early next year with the date to be confirmed asap. 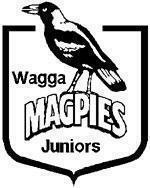 Wagga Magpies Juniors would like to thank all the Parents/Supporters who helped out with Grounds & Canteen over the weekend. It is very hard to put into words how much we, as a club, appreciate the input and help that our parents and supporters give. We had a lot of new and old volunteers attend and proves that Many Hands make light work! Wagga Magpies Junior Rugby League Club have a very special Team of the Week to announce. I have a friend who is fighting Breast Cancer at the moment, she was my initial motivation to shave. She is a mum of 3 gorgeous boys, similar age to 3 of my children and this disease and all they are going through is not fair on any of them. Breast Cancer does get a lot of publicity, however I never understood and definitely did not appreciate how tough it really is. Shaving my head is a positive way for me to deal with all of it by raising awareness and money." 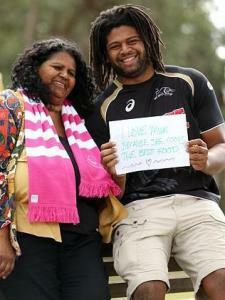 Follow the link if you would like to support Michelle in raising awareness and funds for this worthy cause. 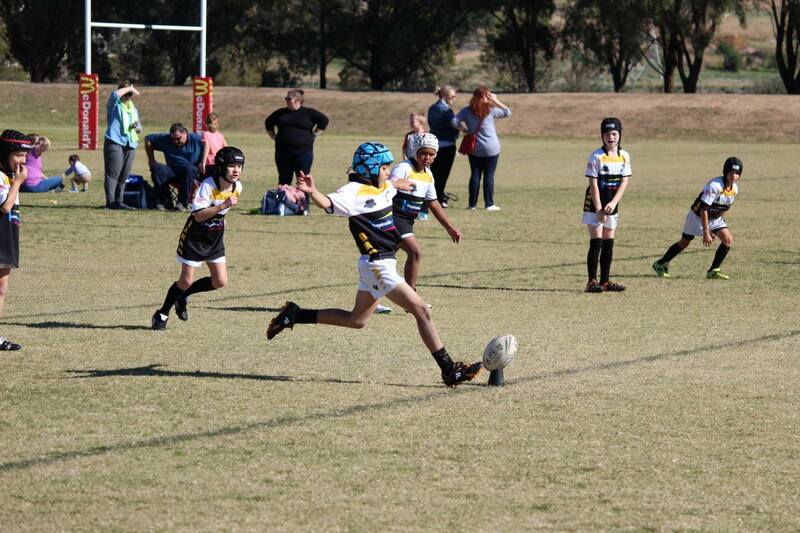 We had a Great Weekend of Footy. 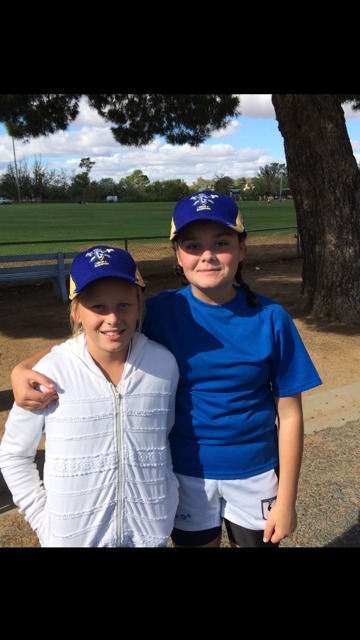 Under 13 LeagueTag Girls had their first Win as a playing group and our hats are off to Geoff and the Girls! 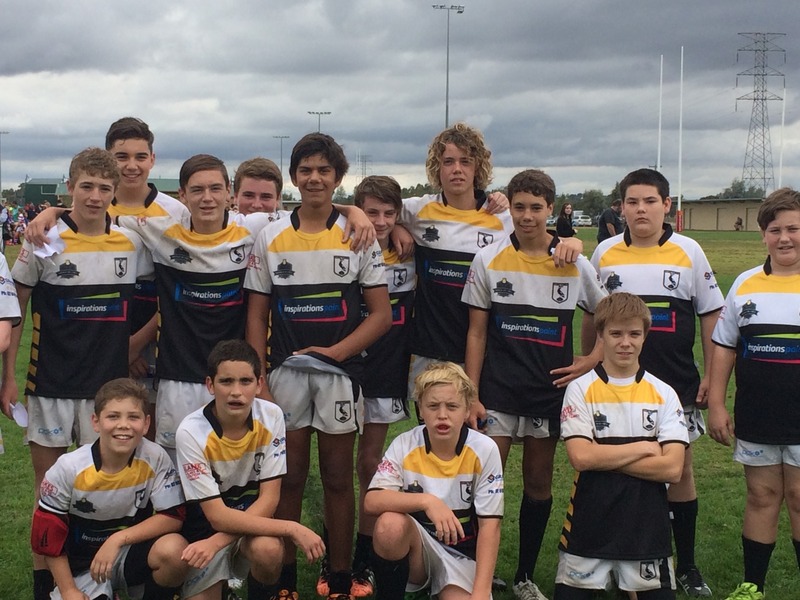 Wagga Magpies Juniors have a Home game this weekend and it is our Duty weekend. If your able to donate your time for help with grounds or especially canteen please call Kerryn Fuller 0427893315 alternatively you can advise at training this Wednesday or just turn up and put your hand up on Saturday. 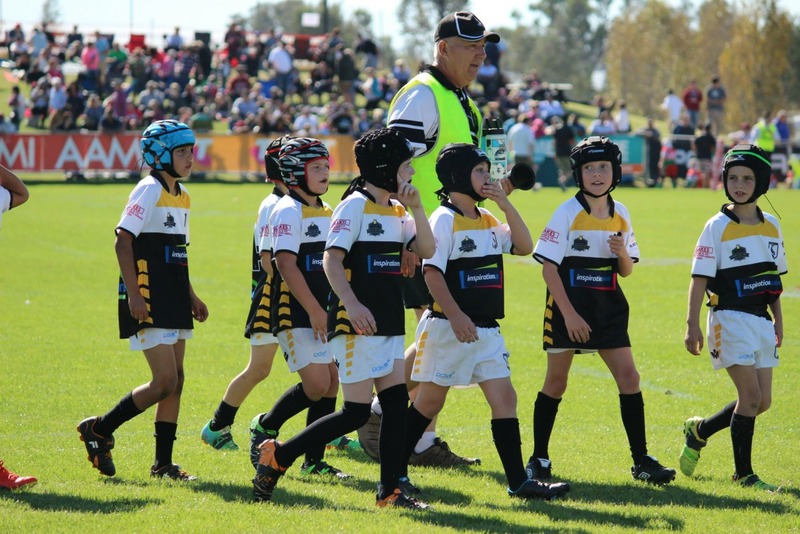 Wagga Magpies has an open door policy with regard to volunteers and it is a great opportunity to meet other parents/supporters from the club. Your help will be appreciated and will not go unnoticed. After playing in Cold and Difficult conditions and with a number of players backing up multiple games this week our Team of the Week is awarded to the U12's. The Club would like to thank the boys who backed up on multiple games in difficult conditions with a special mention to the following boys for playing 3 consecutive games with minimal breaks between games. 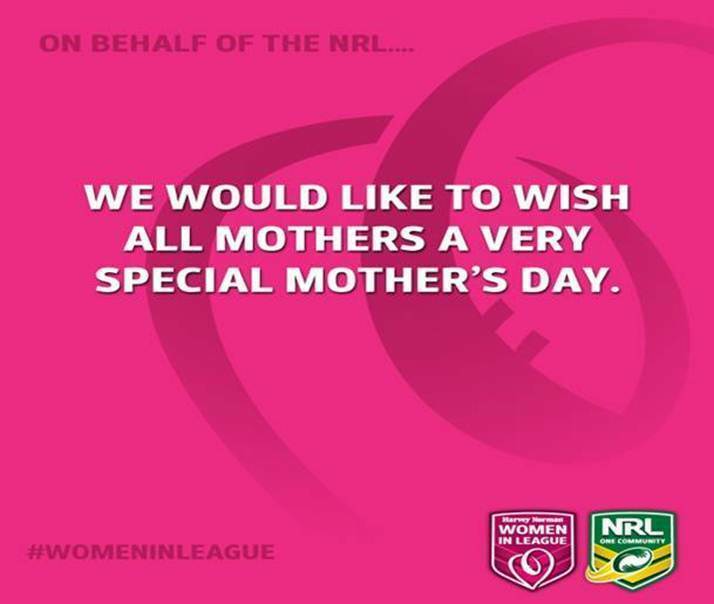 Your help is definitely appreciated and will not go unnoticed..
Wagga Magpies would like to announce the winner of the Mothers Day Pack from the WMJRLC Mothers Day Raffle as Helen Casburn. 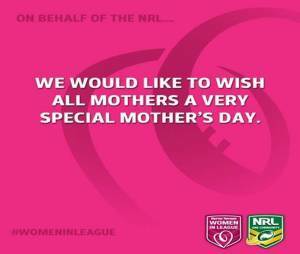 Wishing All Mums a very Happy Mothers Day from your family at Wagga Magpies Junior Rugby League Club. 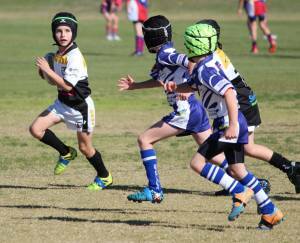 Was great to see Wagga Magpies U9 playing an exhibition game vs Turvey Park on Sunday as a part of the leadup to the City v Country Clash. Was a great day of Footy at McDonalds Park with many Magpies families spread out throughout the ground whilst the U9 Boys did us proud. Special Mention to Cleo Mellen and Gemma Davey for making group nine teams. Congratulations Girls! Another great weekend of Footy. After trailing 12 - 0 early on, the team banded together and fought for a valuable grinding win in the wet. A few photos from Saturday. Regretfully WMJRLC would like to mention the passing of Neil Billingham. 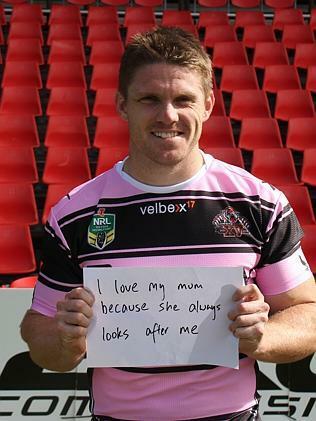 Neil played through the Kooringal Magpies, from under 6s to the 1st Grade GrandFinal Team. Neil played in many group 9 and Riverina Representative teams and even turned down an offer of a Canberra Raider contract. Also well known in the community for his work as a mechanic (Billingham Motors). 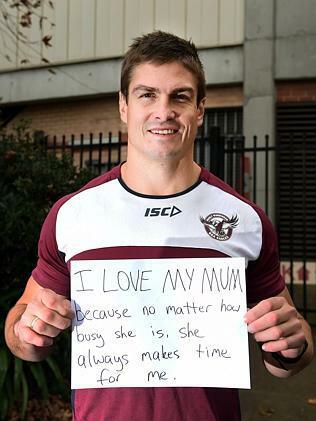 Aged 53, Loving Husband of Leeane, Dedicated father to Chris, Matt and Mitch. 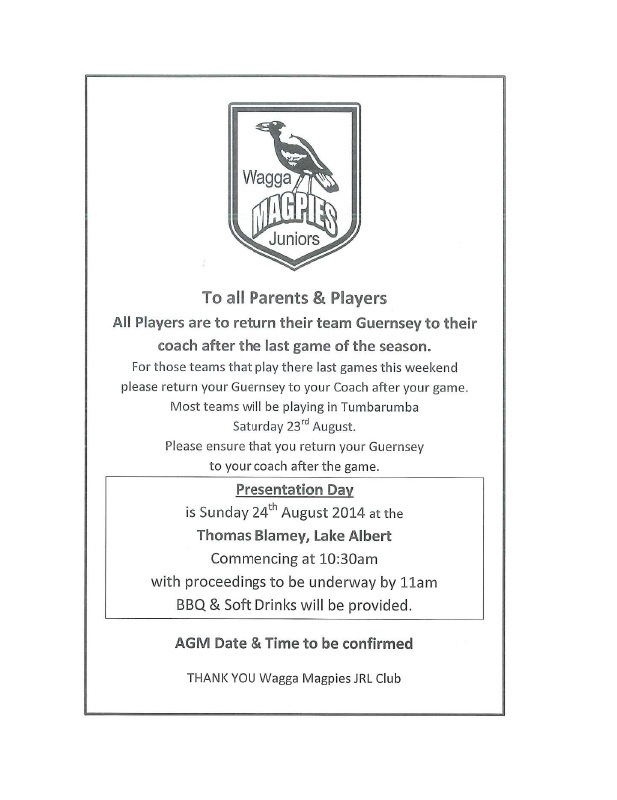 ALSO THE MAGPIES WOULD LIKE THANK ALL PLAYERS AND PARENTS IN TUMUT LAST SATURDAY. EVERYONES BEHAVIOUR WAS FANTASTIC AND TO ALL THE COACHES AND TEAM MANAGERS A BIG PAT ON THE BACK. THOMAS BLAYMEY BISTRO,INSPIRATIONS PAINT, GRANITE TRANSFORMATIONS,ALL ASPECTS ELECTRICAL,RH.BLAKE AND CO.,STEELINE ROOFING CENTRE,REBEL SPORT, WAGGA BOWLING ALLEY, and many more. 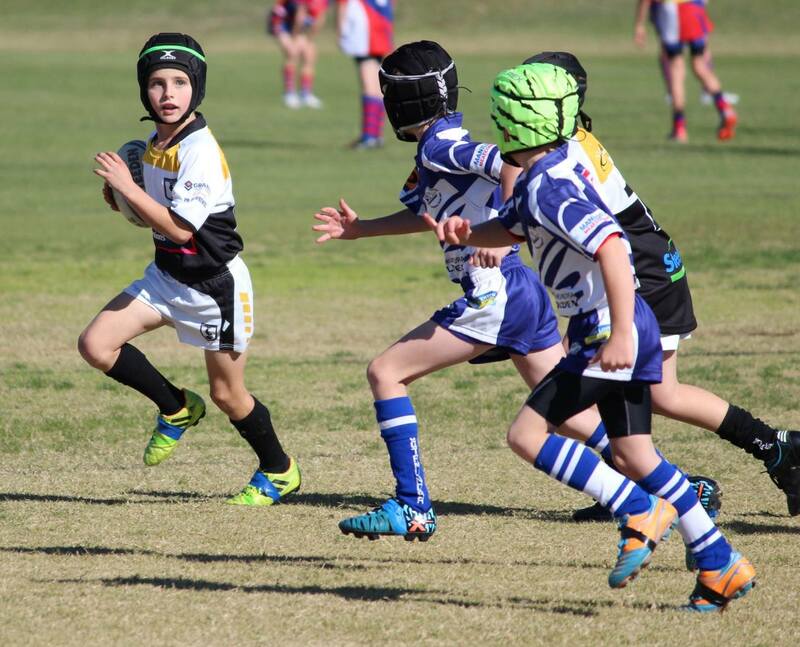 We had an Outstanding opening weekend of Footy in Tumut. Many wins across the board for the teams and a few close games. 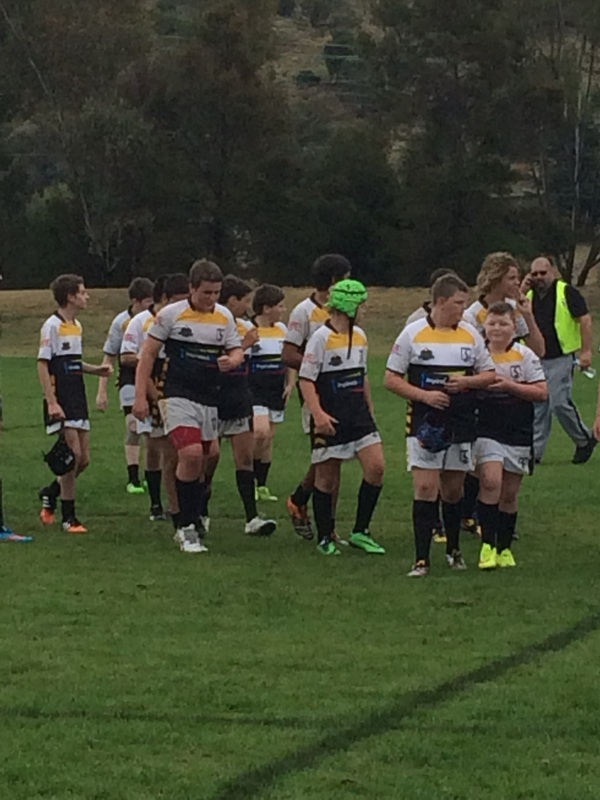 Defeated Tumut 64-10 after a rough week leading into the game. Many thanks extended to Mick McCarthy for stepping up and coaching the boys through to a magnificent win. 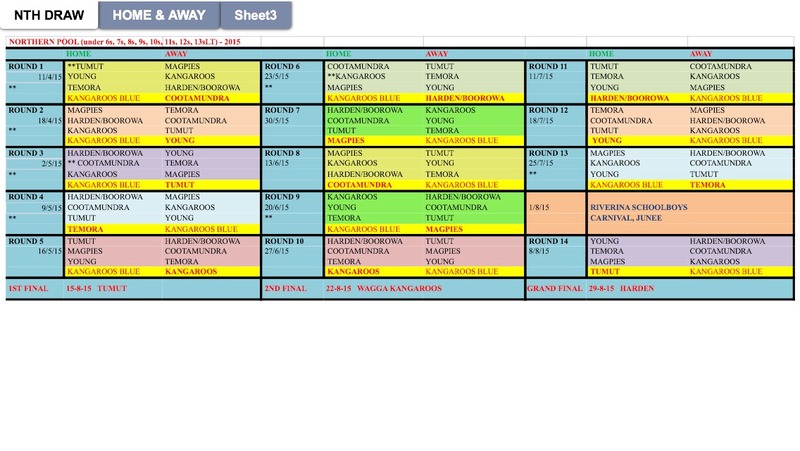 Here you will find our current draws. Season commences on the 11th April. Registration is still available at training sessions on Wednesdays at 4.30pm. 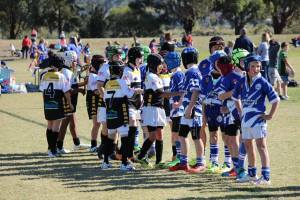 Registration day was a huge success on the weekend. Many thanks to all of those who turned out. There is a typo/error in the daily advertiser and we apologize for any confusion. Registration is available at the grounds for ongoing signings. Many of the grades from U11 down have had a great turnout in numbers. A lot of our regular players but we have also welcomed many new faces. However we are urgently seeking players to fill the grades from the U12s to U15s. 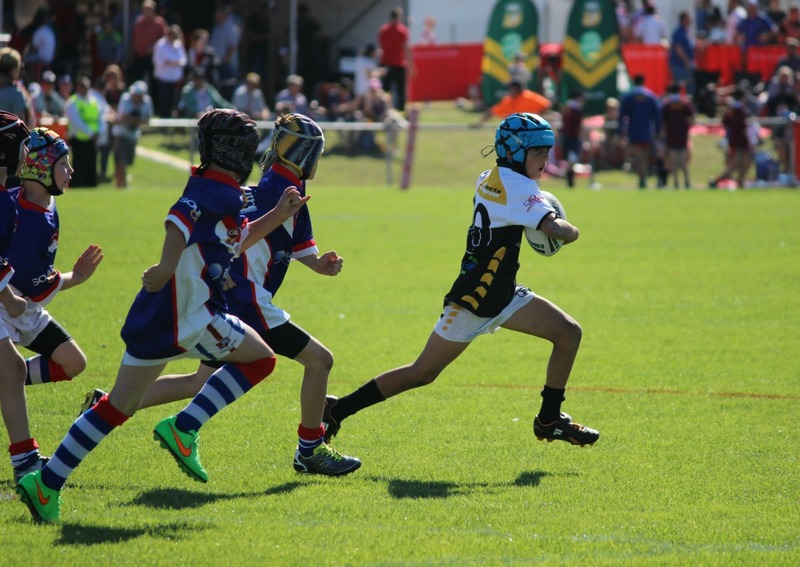 Players and Coaches in all age groups will have opportunities throughout the year to train with some famous NRL players from the Past and Present that will no doubt increase their skill base. We would very much appreciate if parents, players and supporters could Spread the Word.. 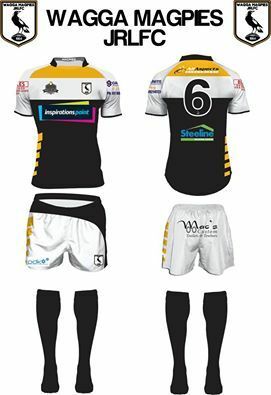 The 2015 on field strip is finalised with the shorts and socks given to all kids who register this Sunday. A huge thank you goes to all of the fantastic sponsors old and new who have come on board this season. With the success we, as a family club, had in 2014, 2015 will be bigger and better. On and off the football field! and all our Sponsors banded together to see our great club rise again! RE-REGO 2015 LINK BUTTON , EARLIER THE BETTER !!!! All NEW REGISTRATIONS will be done in person at our registration day(s). With school going back in the coming weeks ,please get your children to spread the word about PLAYING RUGBY LEAGUE ,And MOST IMPORTANTLY ,Playing for THE MIGHTY WAGGA MAGPIES. We are currently planning our first REGO DAY and seeking hard to gain a MAJOR SPONSOR ,and would love any feedback on links to local businesses . 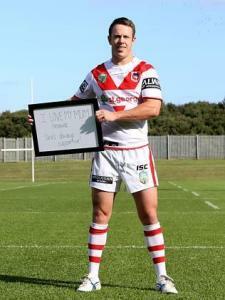 Congratulations to South City for winning the 2014 Group 9 Minor Premiership. 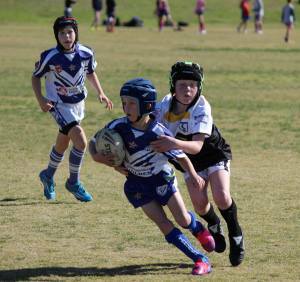 Although South City put up a Great Fight they were unable to stop Thunder from taking its 3rd Group Nine Trophy on the Weekend. 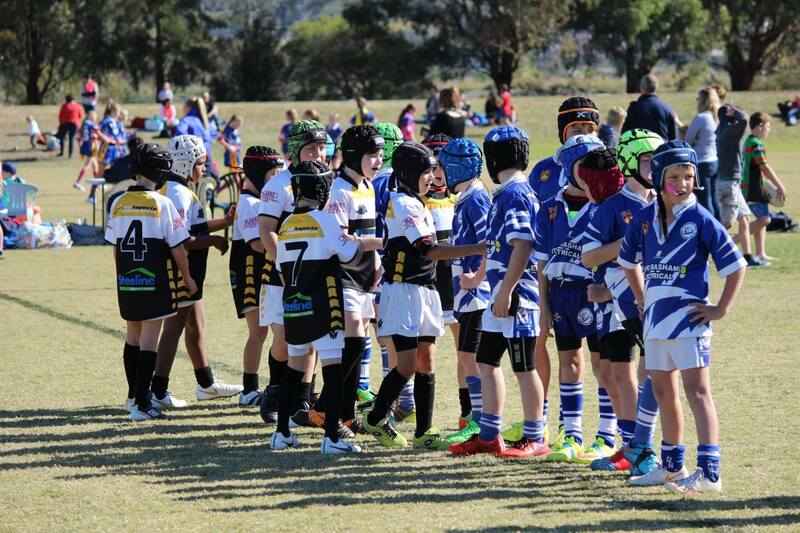 Wagga Magpies had children on han...d from U9s U10s & U11s to give their coaches encouragement before the game. Many Thanks to the South City reps who have donated their time throughout the year to coach various age groups. Although AGM starts at 6pm we would attendees to be present around 5:45 to allow for seating. We have many important matters up for discussion at this AGM as our Great Club moves forward with a positive outlook. 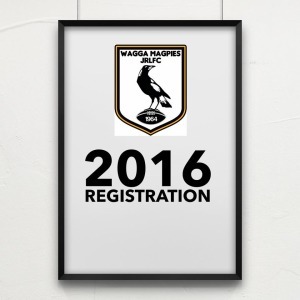 Wagga Magpies has an open door policy, so we ask and encourage you to attend. 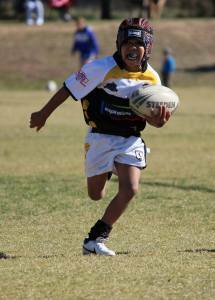 Wagga Magpies Juniors Rugby League Club is the club on Duty next Saturday 6th September at Parramore Park. We usually arrive for grounds setup and Canteen at around 8am. A few of our regular volunteers will be unavailable this weekend so it is an excellent opportunity, if you have some time available, to get to know some of the other club Volunteers. Our Club has an open door policy with regard...s to Volunteers so if your interested in meeting some great people and at the same time helping out our great club either turn up or post your interest here. Gametimes for Saturday 23rd August. 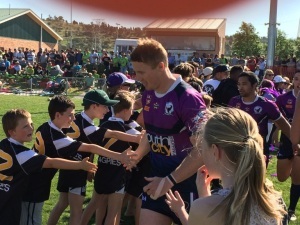 All games are played in Tumbarumba at the Tumbarumba Showgrounds with exception to the under 10s who play in Wagga at Equix. Under 11 & 13 boys have a bye . We hope everyone enjoys the last game of the regular season. Keep in mind our presentation day is being held this Sunday 24th August at the Thomas Blamey Function Room at 11:00am. Separate entrance at the side with the Door being open from 10:30 to allow seating. Wagga Magpies Juniors Rugby League Club is the club on Duty this Saturday 16th August at Parramore Park. A few of our regular Canteen volunteers will be unavailable this week...end so it is an excellent opportunity, if you have some time available before or after games, to get to know some of the other club Volunteers. We expect it to be a short duty day with packing up starting around 1pm. Our Club has an open door policy with regards to Volunteers so if your interested in meeting some great people and at the same time helping out our great club either turn up or post your interest here. Gametimes for Saturday 16th August. All games played at Parramore. 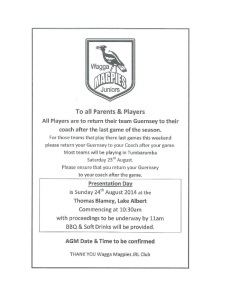 Wagga Magpies Juniors Presentation Day is to be held on Sunday the 24th August within the Thomas Blamey Function Room at 11:00am. Function room is sealed with a separate entrance and the event is No Alcohol. Doors will be open from 10:30am to allow seating. We look forward to seeing everyone there to cap off a great 50th Year. Team Photos are to be done on Wednesday August 13th at Training. If you are able to Please be in attendance by 4:15pm as we will be Taking our group pics before we train. Also please be prepared for a slightly longer session if required to complete the photos. GameTimes for Saturday 9th August. All Games are played at Parramore. #U6 game time changed at late notice. We have received times for our first games at the Junee Knockout. For all age groups with exception to U11 we ask that you try and be at grounds by 8:30am 'at the latest'. A Great Day ahead.... See you there! Wednesday 6th August Training will be our annual Oasis event. Kids from all age groups are asked to come to the Oasis between 4:30 and 6:00 for a great day with Pizza provided for supper. Entry is free for registered players. Wagga Magpies Juniors RLC have been given an opportunity to run the Community BBQ at Masters this Sunday 3rd August between 9am and 3pm. Late notice as another community group has cancelled. Troy Wilson will be there at around 8am for setup. Please contact either Troy (0429904525) or Tammy (0412738306) so we can arrange a roster for volunteers. 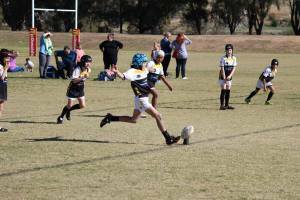 Annual Junee Knockout is on this weekend. Saturday 2nd August. Parents, Supporters and Kids playing in Age groups that are registered for weekend are asked to arrive at the Grounds at 8:30am unless advised otherwise. After entry if you continue on the left hand side you should see the Magpies tent setup with our Base Camp. We normally setup to the left of the Main Grandstand/Canteen. Looking forward to seeing everyone there for what will be a Great Day. Gametimes for this Saturday 26th July. 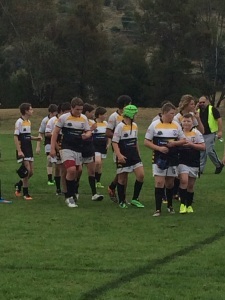 Games are being played at Boorowa Showground. 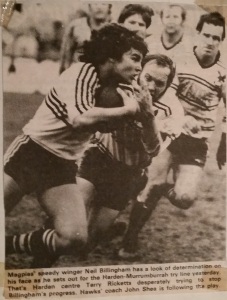 Wagga Magpies is trying to contact 3 particular life members to post invitations for our 50th Reunion. 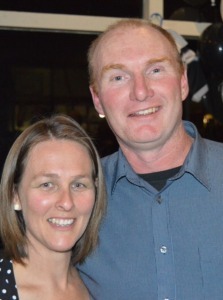 If anyone knows them could they ask them to contact Amanda Hardman on 0412226667 so an invite can be sent to them for the 50th anniversary dinner or if you have further information about the 3's whereabouts if you could advise Amanda on the above number. 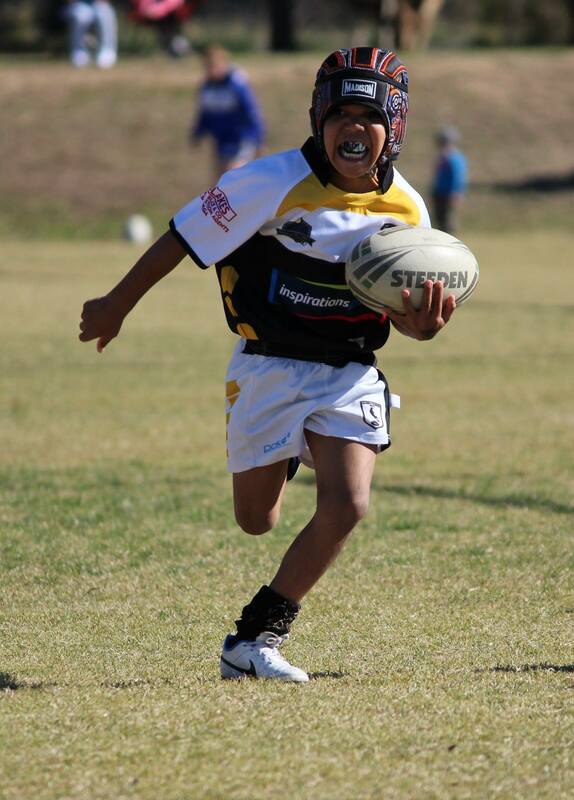 Wagga Magpies Juniors Rugby League Club is the club on Duty this Saturday 19th July at Parramore Park. A few of our regular Canteen volunteers will be unavailable this weekend so it is an excellent opportunity, if you have some time available before or after games, to get to know some of the other club Volunteers. Wagga Magpies Juniors Rugby League Club would like to congratulate Tracy Cornell on winning the State of Origin jersey. The Raffle was drawn at the Thomas Blamey last night. A reminder that due to the school holidays there will be no games played this weekend. 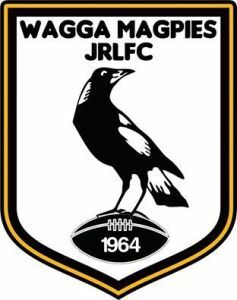 WAGGA MAGPIES IS TURNING 50! DUE TO A TYPO ERROR ON INVITES WE HAVE HAD TO REMOVE AND WILL POST UPDATED INVITE THIS AFTERNOON. DATES ARE CORRECT AS ARE MOST OTHER DETAILS WITH EXCEPTION TO BANKING DETAILS. ERROR IS WITH BANKING DETAILS ON INVITES ONLY. SINCEREST APOLOGIES FOR ANY INCONVENIENCE. Gametimes for this Saturday 28th June. All games are played at Parramore Park. CRL HAS SUGGESTED IT WILL BE PLAYED EARLY IN JULY,BUT NO DATE HAS BEEN CONFIRMED AT THIS STAGE. PLEASE ADVISE ANYONE WHO WAS HELPING WITH CANTEEN AS THERE HAD BEEN ALOT OF PREPARATION FOR THIS DAY. Wagga Magpies are turning 50! 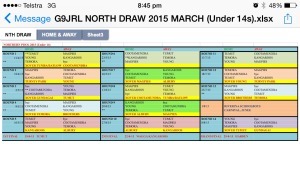 We have uploaded a new Northern Draw attachment due to changes made by CRL recently. The NRL will be conducting Holiday Clinics in Wagga over the holidays on the 2nd of July. We will hold two separate sessions for different ages. 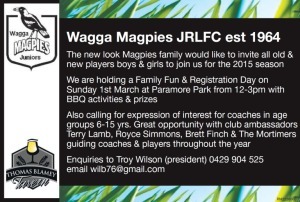 #Please keep in mind it is Wagga Magpies Juniors duty weekend. Training has been cancelled this week due to Council ground closures. Grounds are inaccessible until Friday so there will definitely be No Training. Please check this link for information on ground closures etc. Wagga Magpies Juniors have a Home game this weekend and it is our Duty weekend. If your able to donate your time for help with grounds or canteen please call Dave Hurst or Troy Wilson. Everyone Please put the following dates into your diary for Wagga Magpies Juniors Canteen Duty. Any time that people can commit to Canteen greatly benefits the club as we earn revenue from Profits. This money then gets puts back into the club and is one of our most important methods of Club FundRaising. If you are able to donate 30 minutes or more of your time please attend the canteen and advise the ladies. The girls would love to have some help during the day ,especially around 12/1 pm as this would usually be the business end of lunch . As all of us are committed to work etc we need to get the word out ! Any time that people can commit to Canteen greatly benefits the club ...as we earn revenue from Profits. This money then gets puts back into the club and is one of our most important methods of Club FundRaising. If you are able to donate 30 minutes or more of your time please attend the canteen on Wednesday at your convenience. Your assistance will not go un-noticed. The Wagga Magpies Juniors committee is asking Mums, Dads and Family members of players to try and make themselves available for Canteen this Saturday 17th May if possible. If you are able to donate 30 minutes or more of your time please attend the canteen on Saturday at your convenience. 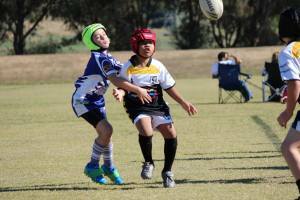 Due to popular demand NSWRL will be running 2 camps over the school holiday period. This camp is an ideal chance for players in the 10 to 12 years age group to receive extra coaching in the skills of the game. If you have any questions please do not hesitate to contact the NSWRL Academy. 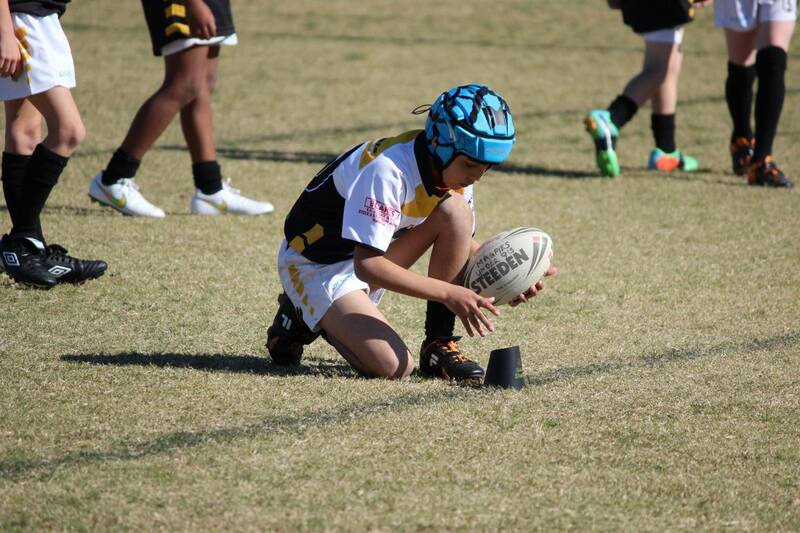 Ball Boys and Volunteers are required for Saturday & Sunday as we host the Country Championships at Parramore. If your interested in lending a hand or have any enquiries please contact Troy Wilson 0429904525 or Dave Hurst 0418692669. #Please find attachments related to duty days at bottom of this post. If you are unable to open or download please contact someone from club to provide a hardcopy. 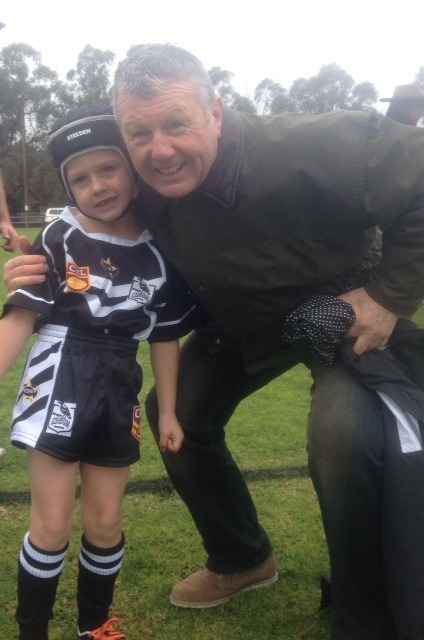 'Robert Finch, Football Manager at St George Illawarra was at Young on the weekend cheering on the Wagga Magpies and supporting his grandson Louie Mortimer. On behalf of the Dragons he wishes the Wagga Magpies a "Happy 50th Birthday". 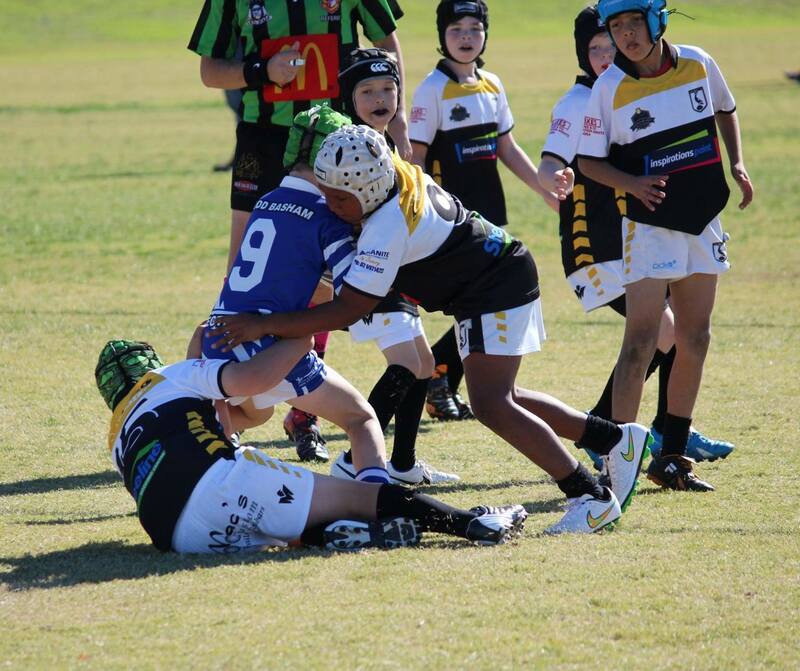 We are still looking for help on Saturday and Sunday at the country championships at Parramore Park please contact Paul Luff on 0408 015 616 if you can help out. All SUPPORTERS and PARENTS welcome to attend. 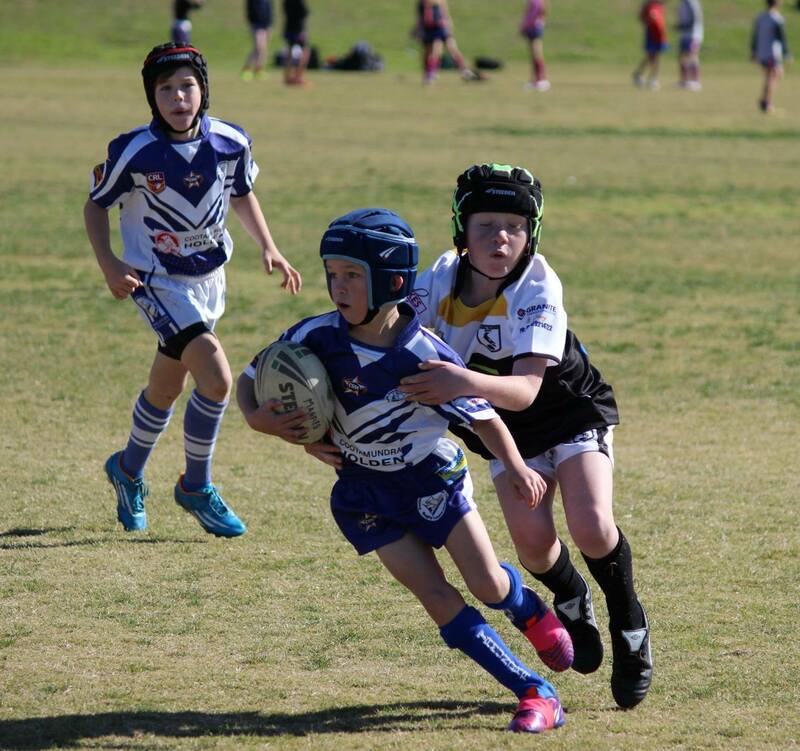 For all of those people who have yet to register with Wagga Magpies Juniors, Registration will be available this Saturday 26th April between 12pm and 2pm @ Parramore Park. Don't miss out on your chance to be a part of a Historic Wagga Family Football club in its 50th Year. 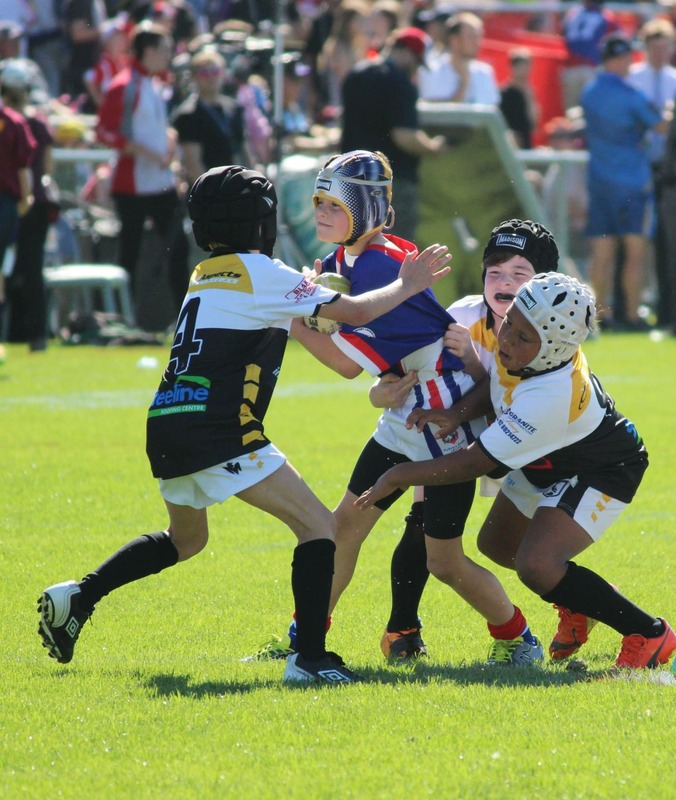 Many thanks to the CRL, the Mortimer Family, Magpies Committee, Big Marn and the fabulous team from the Footy Show on Channel 9 for this fantastic opportunity for the boys. Wagga Magpies Juniors U9s have finished filiming with Big Marn for the Footy Show segment 'Small Talk'. All the boys have had a great time with Big Marn today. Many Thanks extended to Big Marn and his team. 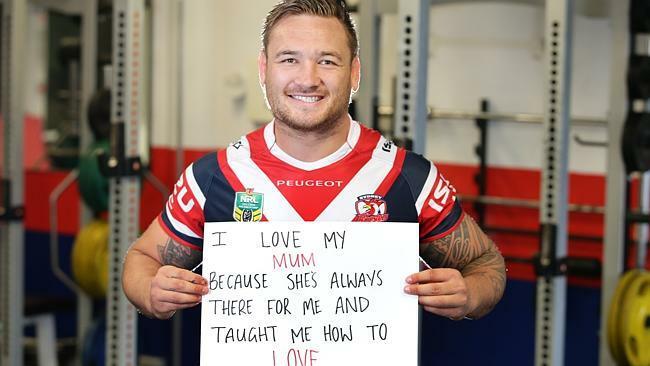 Footy Show will air the segment filmed today on Thursday 24th April. 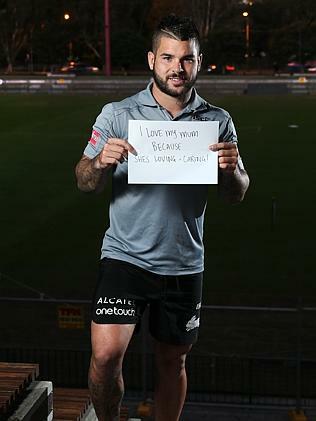 Big Marn' comes to Wagga Magpies for Small Talk! 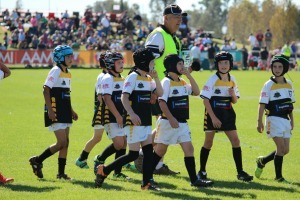 U9s from Wagga Magpies Juniors will host 'Big Marn' from Channel 9s Footy Show for the 'Small Talk' segment on Tuesday 22nd April. Fantastic Opportunity for the boys and Great Publicity for the Club! We will post further information as required or you can contact Dave Hurst or Troy Wilson for further information. In the event of Heavy Rain today training will be cancelled. If the rain is light/intermittent, please check in with your age group coach for training information related to your age group. Council will only give information regarding ground closures late in the afternoon.. If this occurs we will post ASAP. 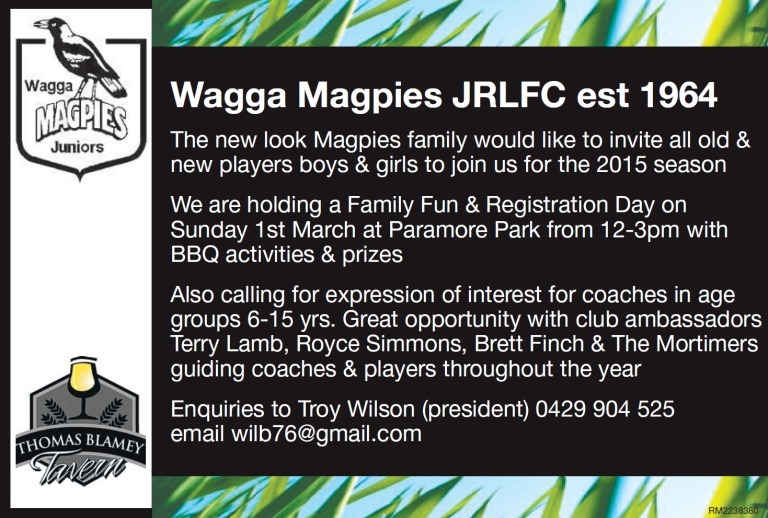 In any event we will have a Magpies Representative on hand at Parramore. To be held at Anzac Park, Gundagai on Saturday 26th April 2014. Please find relevant documents/forms as attachments on this post. Spots are still available in the CRL High Performance Camp to held at Borambola on the 15th 16th and 17th of April for players that are 14 and 15 years of age. The camp cost $220 and all players will receive T-shirt, Cap, Football and water bottle along with their meals and accommodation. For the players that have already registered within your club, they will still have to fill out the paperwork provided in the attachment. You will find an informational Borambola High Performance Camp document attached below. There is a copy of this meetings agenda at bottom of this post. Committee Meeting is scheduled for Thursday 3rd April. We ask that anyone with an interest in this Great Club please try and make it as we have a number of topics being discussed this week. The Sausage Sizzle that was postponed due to bad weather is on tonight at footy training. Registration will be available for those who are yet to register. Please find attached for your information from the Gold Coast Titans regarding passes into Cbus Super Stadium for 2014. When you are able, please forward this information to your club contacts for their information, but not on websites etc for General Public. 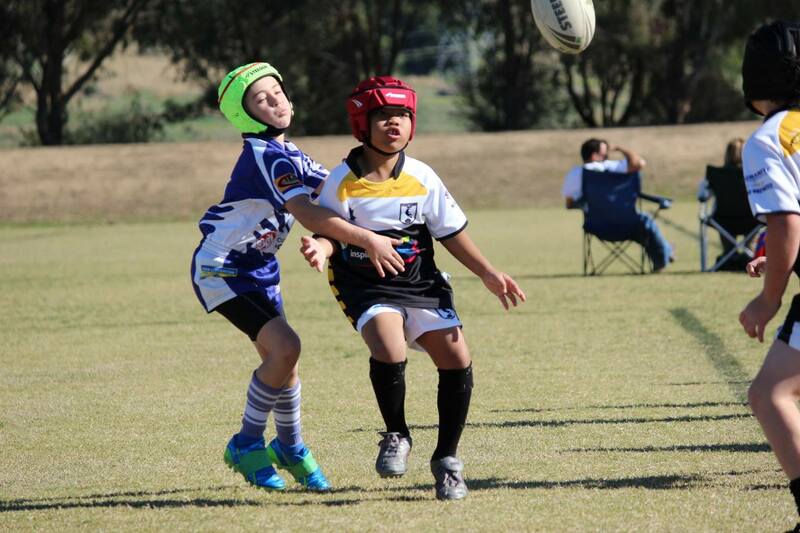 As always, please let me know if you or any one has any questions regarding NRL Junior Passes. Following an NRL review of the State of Origin Packages, there have been a few changes. The packages will be available to purchase for $650 with all tickets located on Level 6. Please find attached the 2014 State of Origin Ticket Package information and application form. About Dentures is offering personally fitted mouthguards for young players to adults. Very competitive prices.. superior protection. Further information will be available at our first Training Day on Wednesday 26th March or please download attachment provided. This is expected to be a big year for us and we welcome all new and old players to join our playing group..
We have a selection of Jerseys that we are asking the community to help us decide between. Please be in attendance as we need to be on top of our game this year. Please ensure all players are at the ground 1/2 hour before game times. We have Canteen Duties this Saturday 17th August at Parramore Park. It would be of great assistance and muchly appreciated if any parents would be able to lend a hand either with Canteen (1/2 hr would be great) or with morning grounds setup (8am). Training will be a fun day instead with food and entry provided free for players. Starts at 4:30pm Finish at 6:00pm. Oasis Aquatic Centre in Morgan St. Please be in attendance to supervise your child(ren) if they are not strong confident swimmers. A BIG THANKYOU TO ALL THE PEOPLE AND BUSINESSES WHO DONATED ITEMS OR TIME FOR OUR BLACK & WHITE NIGHT. A MASSIVE CONGRATULATIONS TO ALL THE LADIES WHO HELPED TO MAKE THE NIGHT A HIT. 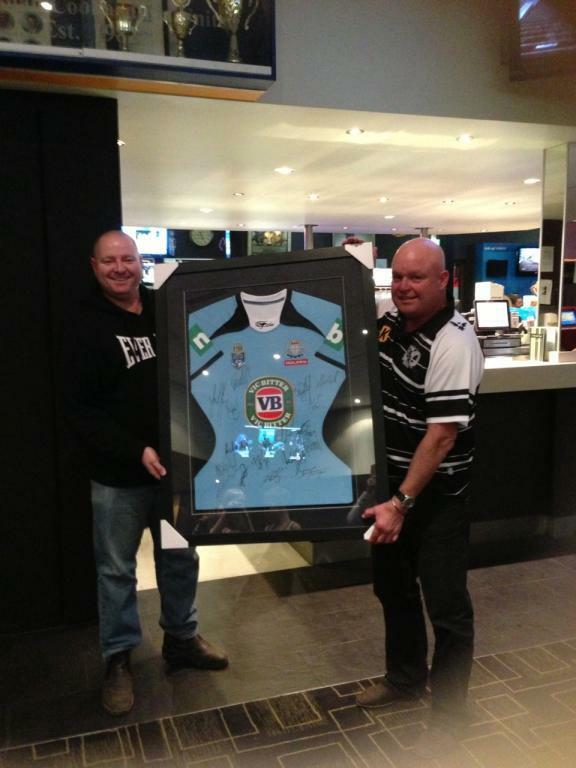 THE NIGHT WAS DEEMED A SUCCESS WITH OVER $5000 RAISED FROM THE AUCTION ALONE. ALL WHO PARTICIPATED HAD A GREAT NIGHT AND ARE LOOKING FORWARD TO SEEING MORE JOIN US NEXT YEAR!! 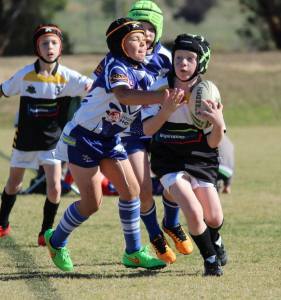 Enquiries forwarded to facebook page (https://www.facebook.com/pages/Wagga-Magpies/149758021850368) or your age coach. Please Note: Under 6 do not play. Under 7s and up. All Ladies involved in Organizing Black & White Night (New and Old) are to meet at Thomas Blamey at 7pm on Monday 22nd July (Tomorrow Night) to finalize details of the Big Auction over dinner. Please Bring all donations for Auction along. Dress: Smart Casual - Black & White Theme. Layton from the radio duo 'Pottsy & Layton' will be our MC for the night! Please see game times for Saturday 20th July Magpies at Parramore park. PLEASE PASS THIS MESSAGE ON TO ALL PARENTS AT TRAINING ,WE ARE EVOLVING AS A CLUB AND WOULD LOVE INSIGHT / QUESTIONS ON ANY ISSUES OR POSITIONS THAT YOU/THEY COULD LEND A HAND WITH. WE ARE ALSO IN NEED OF A NEW TREASURER AND HAVE HAD A COUPLE OF PEOPLE PUT THERE HAND UP,SO WE NEED TO FINALIZE THESE SORTS OF THINGS. ALSO ALL COACHES WILL NEED TO LET MYSELF KNOW ABOUT JUNEE KNOCKOUT ,NO LATER THAN THURSDAY. This Wednesday at Training we will be selling our magpies merchandise so if your interested come down and have a look at the Canteen area. Items will also be available this weekend for our home games at Parramore. 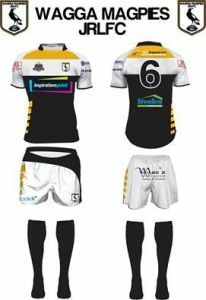 Support the Club with Supporter Wear! TRAINING WILL BE CANCELLED TODAY IF ITS RAINING FOR ALL JUNIORS. U11S AND UP SHOULD CONTACT COACH IN THE EVENT OF RAIN TO CHECK ON TRAINING CANCELLATION. 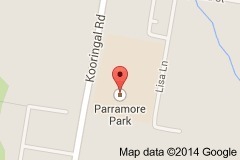 *Training will be at Parramore Park (Equix Centre) 4:30pm Wednesdays. You should still be able to register over the next few weeks. *Sunday 16 June the club has the BBQ at the new Masters store all helpers required!! To date there has been a significant amount of confusion with regard to our competition draw for this season 2013 and beyond. I would like to set out here clearly for anyones understanding what is happening in 2013 and moving forward. 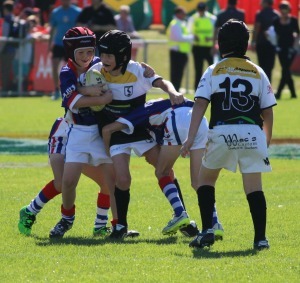 The Group 9 junior board in conjunction with all clubs and CRL have agreed to a new format to the group 9 junior competition. This is a result of a genuine effort by all interested parties to strengthen our competition and create more interest among our current and future players. 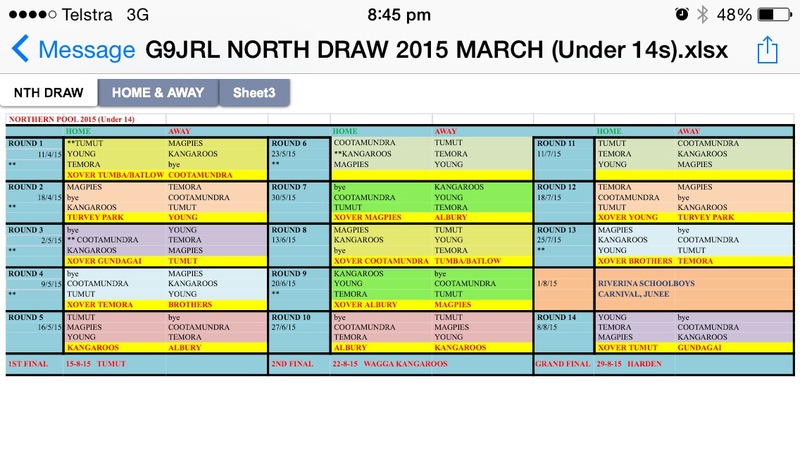 The group 9 junior competition will remain in the two current pools Northern & Southern. Variation to the makeup of the pools has been created therefore creating more interest from the players. 2013 will see Kangaroos & Magpies remain in the Southern pool whilst Brothers & Turvey Park have joined the Northern Pool in addition Tumut & Gundagai have joined Southern Pool. This leaves both pools with 7 clubs each. The four Wagga based clubs will on a rotational basis in turn alternate between Southern & Northern Pools season by season. This means there is realistically no additional travel as the furthest destination is either Wodonga (Southern) or Young (Northern) for Wagga teams approximately 1.5 hours each. With the “club on club” draw each club will only travel to each other club ONCE in that current season. 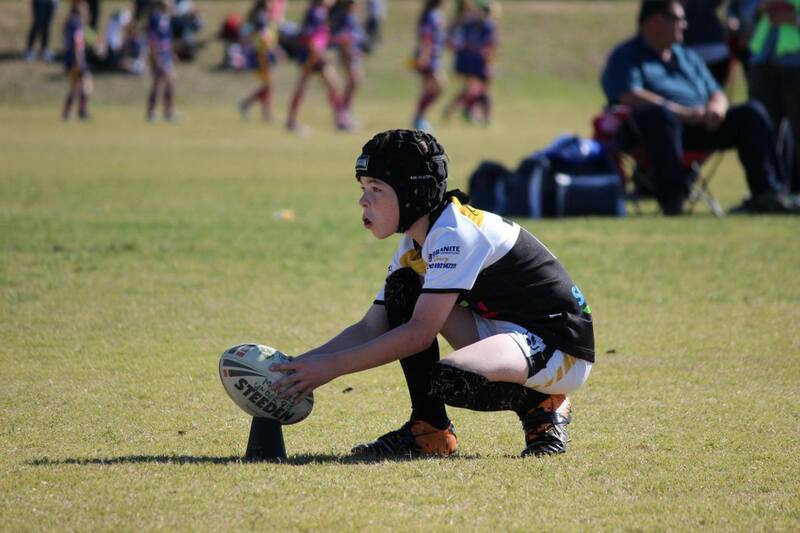 If clubs can field under 6s either a local draw can be arranged or they will travel with the rest of the club. 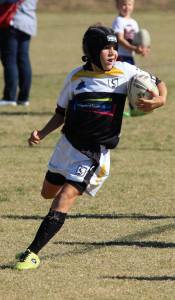 2014 the Under 16s will remain (2013 under 15s) / join the junior ranks. Due to the uneven numbers of clubs in the pools a bye naturally occurs, enter the crossover games where Round 1 sees Magpies (Southern) and Temora (Northern) both would have had the bye, now they will play for competition points. This is a big change to our competitions former structure but with a combination of information and patience I believe this will greatly improve both the players’ passion and enjoyment of our great game and also the group 9 junior competition as a whole. Training will be at Parramore Park (Equix Centre) 4:30pm Wednesdays. Further information about the Wagga Magpies and the 2013 Season is available at this time. Website is undergoing a change of moderators at the moment. Current News and Information to be posted over the coming weeks. 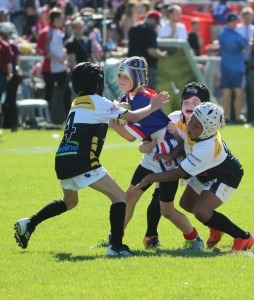 What a great day for rugby league we had at McDonalds Park on Saturday wonderful sunshine some great footy and a really good and well behaved very large crowd. We had all the Wagga Clubs represented though the six grades and most clubs represented though the finals series. Its great to see the game growing in the southern pool area especially in the Albury Wodonga area may this trend continue for some time. 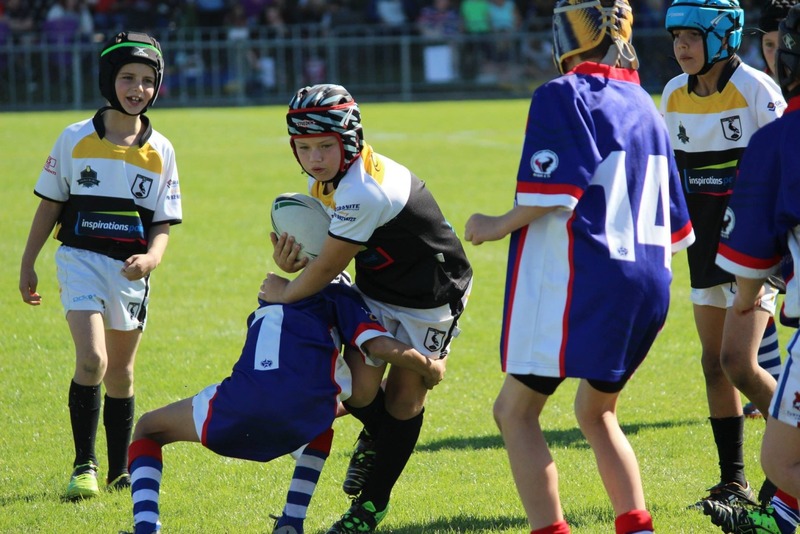 Notice to hand from CRL of last weekend’s round indicates, coaches across some Magpies age divisions were observed running sidelines and yelling direction to players. Please note that from Age 10 division up “Coaches are not permitted” to run side lines for any purpose they are in fact required to sit at the provided coaches table quietly. They may discuss and advise tactics with players before and at half time only. Runners may only enter the field proper for kick off duties, of when a player is hurt or injured, they should not go onto the field simply to issue coaches instructions. Please ensure all coaches and runners are advised of and adhere to the above, all grades will be monitored and advised if adherence to the above is questionable. Many Thanks in advance for your assistance with above. Please click here to read the newsletter for the 23rd of May.